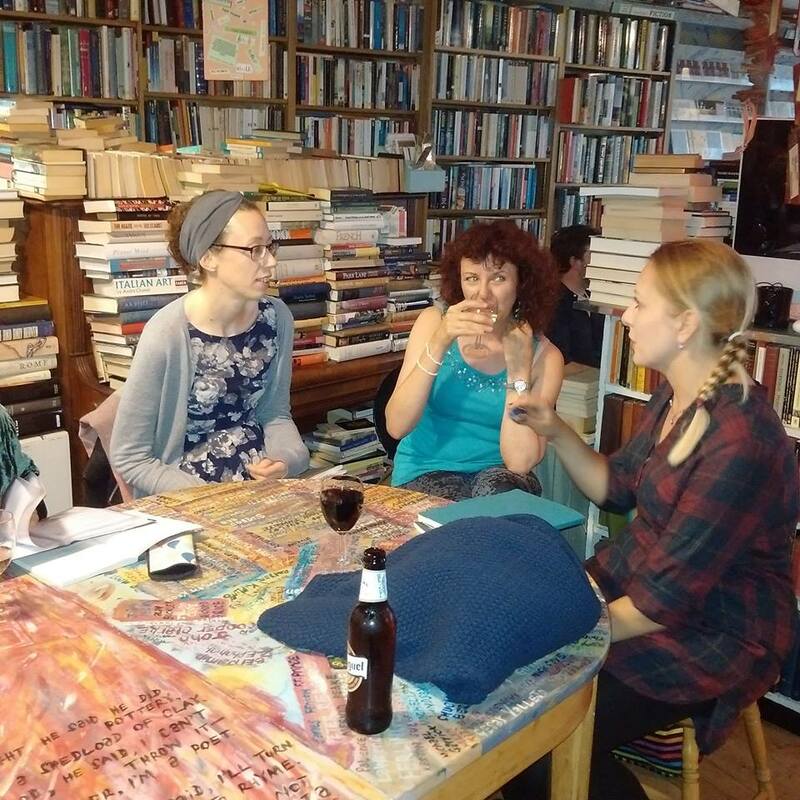 I was lucky to attend the launch of issue 62 of The Interpreter’s House magazine at the wonderful Albion Beatnik bookshop in Oxford. 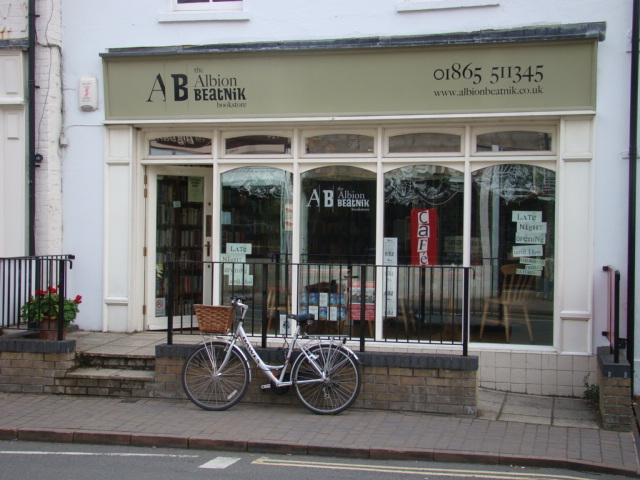 The Albion, a small and enthusiastic bookshop in the Jericho part of town, has been described by the Sunday Times as the “best bookshop in Oxford,” and it is the kind of place where it is hard to tell staff from browsing customers and tea drinkers. 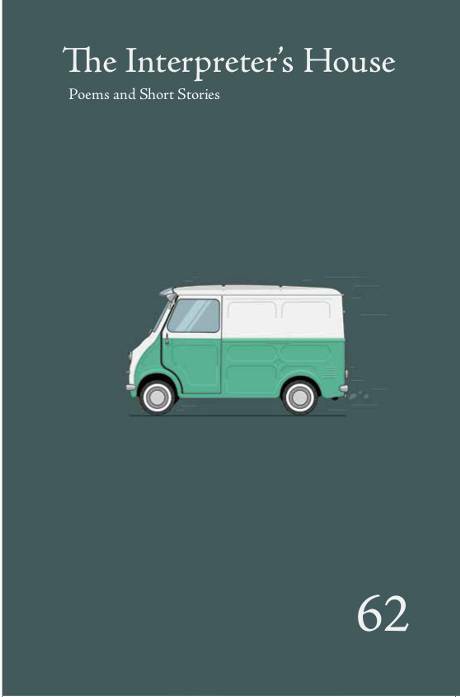 The bookshop houses a relaxed cafe and hosts poetry, music, themed literary evenings and general talks and debates. The Interpreter’s House issue 62 launch event was held in the evening and attended by hard-working editor and co-editors Martin Malone and Charles Lauder. There were readings by some of the many contributors to the issue, including Elizabeth Parker. and Elizabeth Parker at the Albion Beatnik. Among the many highlights was Lizzie’s reading of her beautiful poem about walking with her father, ‘At Cannop Ponds’. I asked if Lizzie would like to share the poem and some other work here and I’m delighted that she kindly agreed. Elizabeth Parker was born in The Forest of Dean and grew up in a garden center which her parents still own and run. She finds The Forest of Dean inspires her writing more and more. After achieving First Class Hons in English and Creative Writing at Warwick University, she taught secondary English for eight years. 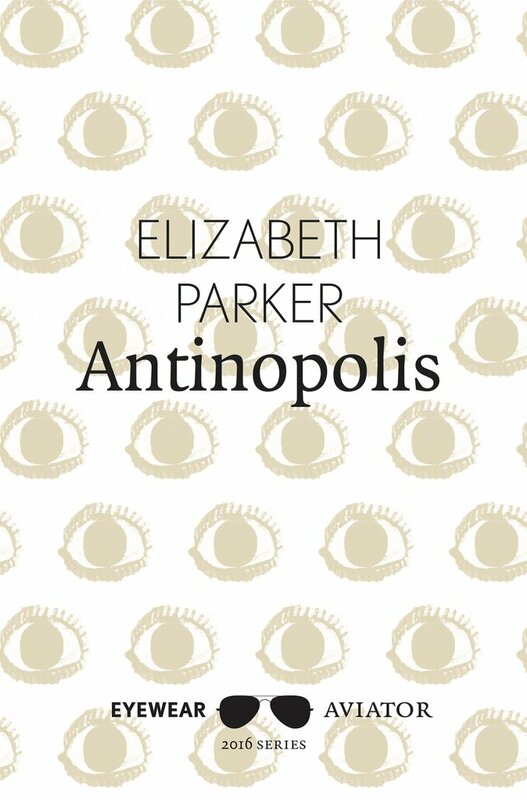 Elizabeth’s poems have been shortlisted for The Bridport Prize and Eyewear Publishing’s Melita Hume Prize, which resulted in Eyewear publishing her debut pamphlet Antinopolis. Elizabeth lives on Bristol harbor and is a member of poetry group The Spoke. Her work was recently Highly Commended in the Gregory O’Donoghue International Poetry Competition, and has been published in Magma, The Stony Thursday Book, Raceme, Southword, The Interpreter’s House and Eyewear’s latest anthology The Best New British and Irish Poets 2016. She is currently working on her first full collection. A city founded by the Roman emperor Hadrian to commemorate his deified young beloved Antinous, who drowned in the Nile. The site of excavations by French explorer Albert Gayet, who discovered ‘Mummy Portraits’ at the site- highly realistic head-and-shoulder portraits attached to mummies of the Coptic period, bound into the burial cloth so as to cover the face of the deceased and painted in the classical style of ancient Greece and Rome. now striped with chrome bars. cable-tied to a tube bolt. bright lips, thick brush strokes of black hair. slimy weave of dead carnations. their bare legs tassel its banks. we take the wettest path. A nestbox spits a nuthatch. with mud to keep woodpeckers out. I ask about sinews in the black beech. We both press palms against the bark. a moat around the foot. forgetting I’ll insist on the Common. props a node on the end of his finger. so I look for wounds. an oak shakes off birds and bits of gold. the yellow smoke of oatgrass. lifting and landing on the surface like fleas. make sure he remembers every bird call. used to jump into marl holes. Well that’s cheered me up! Thank you great Fogginzo – I’ll pass it on.